Dr. A.M.Thomas is Professor and Director of the School of International Relations and Politics. He was the Dean of the Faculty of Social Sciences and Member of the Syndicate of the Mahatma Gandhi University. He has been on the faculty since January 1985. He was educated in Tanzania and India and received his M.A and M.Phil degrees in Politics from the University of Kerala, Trivandrum and his PhD in International Relations from Mahatma Gandhi University. He specialises in the history of international relations and American Studies apart from Diaspora Studies, African Studies and sociolinguistics. He is the author of the book The American Predicament: Apartheid and United States Foreign Policy and several articles in his areas of specialisation. He has also contributed to popular newsmagazines in Malayalam. He has participated in the International Visitor Program of the Government of the United States on Decision Making in US Foreign Policy, is a Fellow of the Salzburg Global Seminar, Austria and was selected Outstanding Intellectual Leader at a summer programme of the Central European University, Budapest, Hungary. 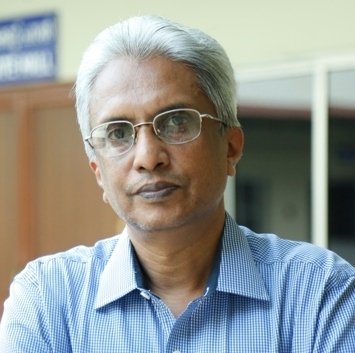 He has also been a speaker at several national and international conferences and has served as the Editor of the Indian Journal of Politics and International Relations.He has been a member of the Commission on Education of the Kerala Catholic Bishops Council and is a founding member of the South India American Studies Network. Dr. Thomas has also been involved in professional organization activities and during his career in the University has held the positions of President, Secretary and Treasurer of the Mahatma Gandhi University Teachers Association. He has also served on the Senate and the Academic Council; as Professor in Charge of the University Library; Convenor of the Credit and Semester System; Member of the Anti-Harassment Cell; Staff Adviser and Honorary Treasurer of the Departments Students Union; and Programme Officer, National Service Scheme, Campus Unit; of the Mahatma Gandhi University. He is a currently also the Director of the Internal Quality Assurance Cell of the University.